In Ten Beach road we are introduced to a group of three very different women who have one thing in common - they have all lost all their money in a Ponzi scheme. The money is gone, but a few of the man's assests have been distribued among the victims. These women have each been awarded a share in a run-down beach mansion that they must restore and sell over the course of a summer to get back on their feet financially. Madeline is an empty-nester whose husband has lost his job and whose daughter has just moved back home, pregnant with a movie star's child. 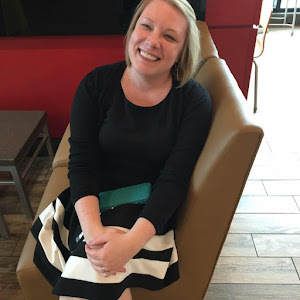 Avery is an architect who lost her job as an HGTV star when she divorced her co-star husband. Nikki has been a matchmaker to the stars, but lost it all when the person closest to her betrayed her. Now the women must work together to overcome their personal challenges and restore the mansion at Ten Beach House to save their livelihoods and families. Typically chick lit/beach read. Nothing amazing, but good for what it is. It's a perfect summer at the beach book. Doesn't require much thought, but no gaping plot holes or obnoxious typos/grammar mistakes/stiff dialogue/etc. An easy, light read. Again, typical women's fiction. It's about feelings and learning and self-discovery and romance. It's not an engrossing can't-put-it-down read, but it's also a great beach book. It holds your attention well enough and is easy to enjoy but also easy to put down. My only complaint is that it is just like a million other chick lit/women's lit books out there about the same thing. It's pretty interchangable with any other beach reads, but it's good for what it is. I recommend that you pick up a copy and take it on vacation, read it on an airplane, by the pool, etc. It's an easy read and you don't have to be fully committed to every sentence in order to get it. It's the sitcom of books - good for a diversion but doesn't require much of an investment on the part of the reader. I am grateful to TLC Books for the opportunity to review this one. For more information on the author, Wendy Wax, check out her website. 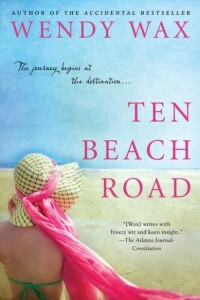 You can see the full list of other reviews for Ten Beach Road here. I personally recommend that you check out the reviews by BookNAround, Life In Review, and Book Club Classics. Sometimes that's all you really want, something good and light but maybe not overly engrossing for summer. So I'm glad it works in that way. Thanks so much for being on the tour! I've been wanting to read this one. I love chick lit. Steph - I think you'll like it. It's a great story and easy to follow. Perfect for light reading!